Galactic background synchrotron radiation antenna temperature in kilokelvin for a single half-wave dipole at resonance 1/4 lambda above a ground plane with a galactic pole near zenith. 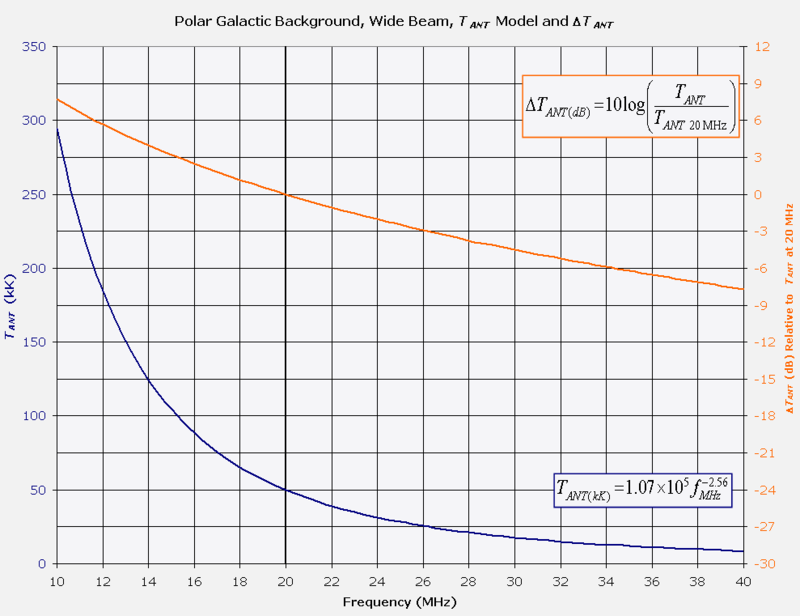 This simplified model varies from the Cane/Ellingson model by less than 0.06 dB from 10 to 40 MHz and by less than 0.1 dB from 1 to 100 MHz. For more information, see The Galactic Background in the Upper HF Band, Typinski (2013).